What is Qi (Chi) in Feng Shui? Qi is one of the central concepts in feng shui. However, this concept is confusing to most people, and some even call feng shui a superstition because of its constant reference to Qi. This post gives you a high-level understanding of what Qi (Chi) is in the context of feng shui. You will see examples and illustrations to explain what it is and how we encounter it in our everyday lives. Why is Qi so Important in Feng Shui? After reading this post, I hope you have a better understanding of how Qi affects us and why it is important in feng shui. When you hear about feng shui, you will inevitably hear about Qi (Chi). But what is it? I have seen people confused by this whole concept. I have also seen people discredit feng shui altogether because they could not understand what it is. Others have called it a superstition because of the frequent reference to Qi. In this post, I will try to interpret what Qi is by using terms and examples that we can relate to. Qi, also spelled Chi, is one of the central concepts surrounding the practice of feng shui. And yes, it does refer to energy, which is already known in modern science. Let me refine what types of energy that Qi refers to. To begin, let me first walk you through some historical context about how our predecessors used this term. Imagine yourself living on Earth 2,000 or 100 years ago, a time where science was not taught in formal education. 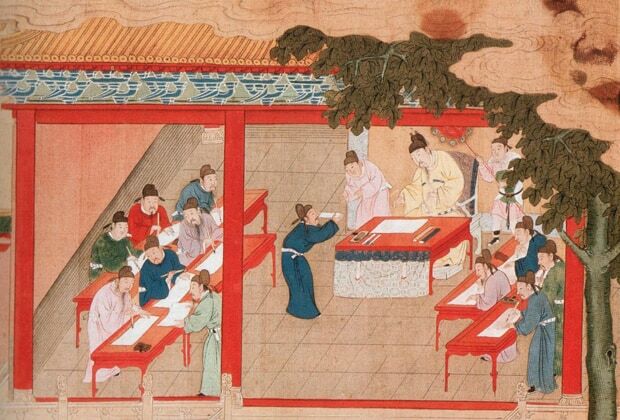 Science was not known in ancient China. The term Qi was used to described natural forces that affects us. During that time, people have little or no knowledge of Physics, Chemistry, Biology, Psychology, and other scientific knowledge that we have today. But since our predecessors lived in the same world as us, they were exposed to the same kind of forces or energy we have today, whether they be gravity, heat, or sunlight. So Qi is mostly used to describe the forces that cannot be seen, but has the ability to impact us, either physically or mentally. Let me give you some illustrations. By touch, I do not mean that you can touch Qi with your hands, like the way you feel solid objects. Rather, I’m talking about contacts to your skin with non-physical entities. Some examples are wind, heat waves, humidity, static, electric currents, and other types of energy that you can feel with your skin, muscles, and nerves. 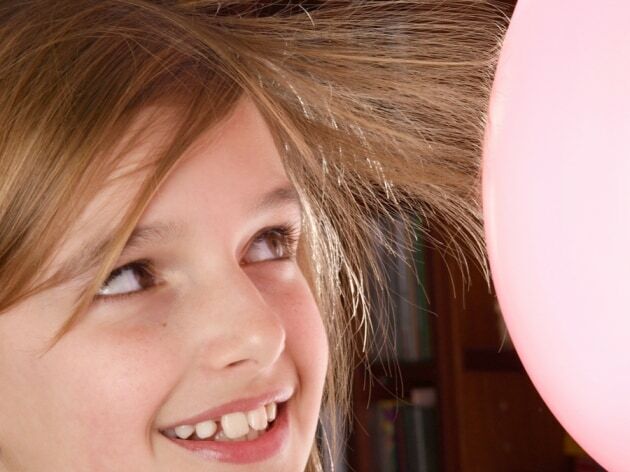 Static electricity is a magnetic force that cannot be seen by the naked eye. So how are these related to feng shui? For one, it tells us how to regulate the temperature of our home. Feng shui tells us that windows facing north bring colder air in winter than windows facing the other direction. (I personally think that this applies only to those living in the Northern Hemisphere, but that’s another topic.) With this knowledge, we can make proper adjustments to keep us warm, such as making more use of other windows for fresh air during winter. Another example is living under high voltage electric lines. Feng shui tells us that electricity brings negative Qi that affects both our physical and mental health. In fact, today’s researchers are studying how electric currents produce an electro-magnetic field that damages our DNA and cells. Some studies have also suggested that these electric currents are causing cancer in children. For those that want to learn more, here’s the article about this research with references to 35 scientific publications. As you might have guessed, sound is also a form of Qi. Unlike our predecessors, we can now visualize sound as sound waves. When sound becomes noise, it is a Qi that negatively affects us. Not all sounds are Qi. For instance, I have not heard of music or bird tweets being considered as Qi. However, it did mention that noise is a negative Qi that has the ability to affect our mood, patience, and temper. Imagine living in right next to the airport, train station, or a fraternity house that hosts house parties four nights a week. How would you feel? If noise can worsen your mood, patience, and temper, you are likely to get into more fights and arguments with your friends, family, or significant other. A prolonged effect can even bring psychiatric disorders which will lead to serious damage to those personal relationships. If you work from home, the noise will make it harder for you to concentrate, resulting in a decreased work productivity, performance, and ability to meet deadlines. That is why feng shui suggests that we avoid neighborhoods that are noisy, because the negative Qi in the form of noise bring negative consequences to our lives. Today, we understand smell as odor molecules. We detect smell by inhaling odor molecules that bind to the receptors in our nose, which our brain later interprets what kind of smell it was. Feng shui identifies the odor from the restroom and trash as a negative form of Qi because they have the ability to adversely affect our health. Imagine if you live in conditions where you are surrounded by these repugnant smell. How would you feel? How would you react mentally and physically? When stench or foul smell gets to me, my body reacts by giving me the urge to vomit. Imagine this: how would your sleep quality be if the toilet is right next to your bed? Also, how would your appetite be if the restroom is right next to where you dine? If you live under these conditions, a prolonged effect can give you fatigue and indigestion that can eventually lead to depression and other types of illnesses. In essence, feng shui teaches us how to avoid or control this negative Qi. That is why it suggests that toilets should not be facing your bed or your kitchen. On the other hand, if you live in an area surrounded by bad air quality, such as an animal farm, feng shui would suggest that you keep your windows closed and the air conditioning turned on. Although Qi is used mostly to describe energy that cannot be seen, feng shui also makes reference to certain types of Qi that I think are psychological reactions from our vision. If you drive, do you get a little edgy when driving right next to a truck on the freeway? 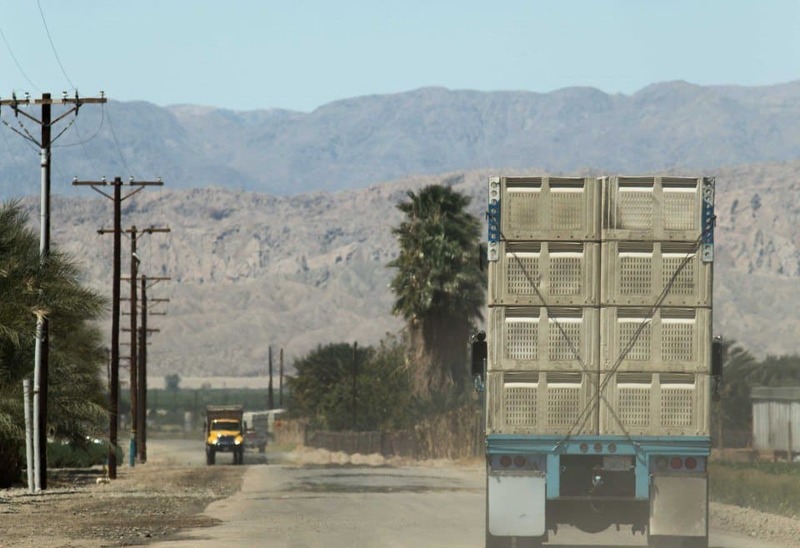 Or if you’re the passenger, do you feel uncomfortable when you drive pass a truck? What about driving in between two trucks? Do you feel edgy when driving right next to a truck? In feng shui, these trucks just gave off a form of Qi. It is this type of Qi that gives you the edgy feeling when you drive next to it. It is the kind of invisible pressure you feel when you’re right next to a bigger object or within a narrow space. Low ceilings, low hanging chandeliers, and huge furniture also tend to give off this form of Qi, but you will feel it only when you’re right under these objects or very close to it. To avoid this Qi, feng shui suggests that we use higher ceilings and avoid placing big furniture right next to our bed. The goal is to give us more comfort in where we live. Human Qi: We humans are one of the biggest sources of Qi. Recall the last time you visited a busy restaurant. You see and hear people all around you, which are all parts of human Qi that gives you the feeling of liveliness. The lack of it is when you call places as “dead”. The practice of gathering this human Qi is commonly used in feng shui for business. In residential feng shui, this term is used when referring to the size of the house and the amount of people living in it. How do you feel when you enter a restaurant that felt “dead”? 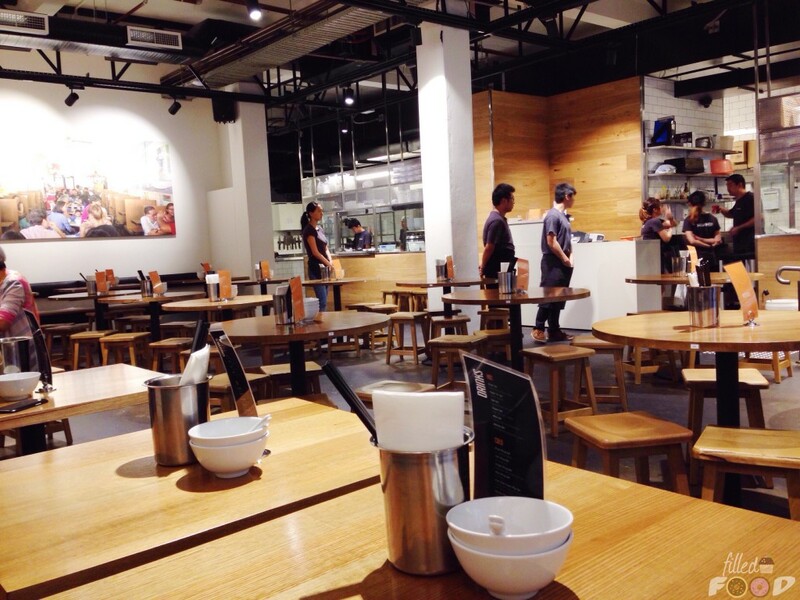 How do you feel when you enter a busy and vibrant restaurant? Magnetic Forces: Feng shui is big on magnetic forces and the eight cardinal directions of the Earth. This can be seen by the wide use of Luo Pan and the use of Kua number in the Eight Mansions Feng Shui, where some directions are beneficial for some people but not the others. Though science is slowly uncovering how certain animals respond to magnetic forces, such as pigeons and trout, we have yet to discover how the Earth’s magnetic forces affect humans. Why is feng shui centered around Qi? Feng shui understands how Qi influences us. For instance, in a home where proper feng shui was applied, you will not be affected by bad Qi that impacts your mental and physical health, such as the sight of the restroom or the noise from the streets. Instead, you will be surrounded with other types of Qi that stimulate your senses in a positive way, such as clean air, sunshine, or other objects you use to keep your spirits up. And here’s what usually happens when you’re healthy and light-spirited. People will enjoy your company, your work productivity will increase, and the overall quality of your life will be better. It’s similar to how employers are improving office design to achieve higher employee productivity. Feng shui understands that these are the indirect results of the Qi and how it affects us. Because feng shui’s goal is to improve our well-being, it aims to control the flow of Qi by using furniture placements, spatial designs, and other material placements so that Qi is redirected in a way that only improves our quality of life. In feng shui, Qi is a type of force or energy that can affect us physically and mentally. It is a term used by the ancients. It is not a superstition, nor is it spiritual. Because we humans rely heavily on our visual senses, what cannot be seen is sometimes hard to comprehend. As you saw earlier, Qi can be emitted by our human body. 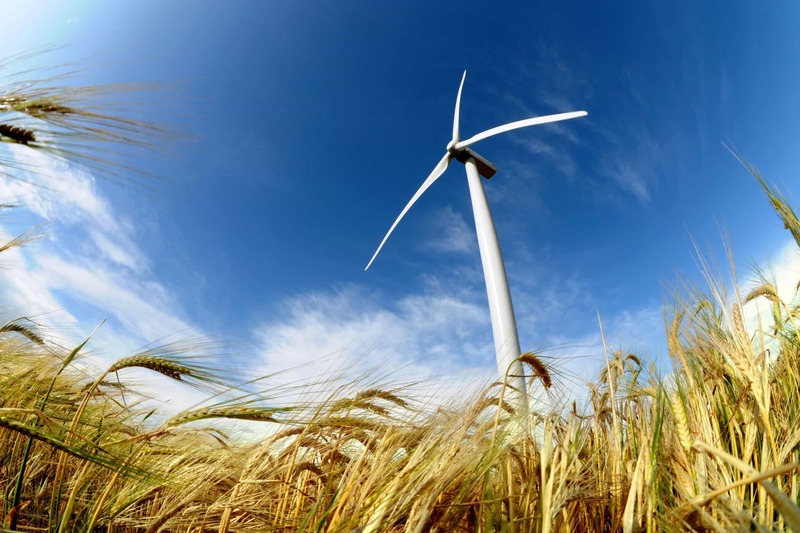 It can be created and transferred, such as how we transfer and use electricity. Human inventions and designs can also manipulate its flow, which is what feng shui aims to do to improve our quality of living. Though Qi affects each and everyone, its level of impact varies among individuals. For instance, I have known people who can concentrate in noisy backgrounds and those who doesn’t get bothered by the smell of public restrooms. But Qi and feng shui can only do so much. If you’re seriously looking to improve your life, I believe that strong willpower and determination trump what feng shui can give you. Thus, I suggest that you only use its practice as a complementary tool to reach your goals. What do you think about Qi and feng shui? Comment below and share your thoughts with us! This is one of the best articles that I read about Chi. In fact it is really the best. Congratulations, Victor! You succeeded to put in words what is almost impossible to explain with human mind. A must share. Thanks M.C.!! I feel flattered. I’m glad you liked the article! I was initially leery about Feng Shui until a friend swore things changed after reading Lillian Too’s Living with Good Feng Shui book and applying it into her day-to-day life. Googled it and found a copy from Noon Books (www.noon-books.com). I thoroughly enjoyed reading it, applying it and waiting for positive results. I swear life seems to just “flow” now instead of just “chug along” if you know what I mean. Money comes in from unexpected sources and relationships seem to require no effort. Life just seems happier. I can’t explain it, but it works. I guess at the end of the day that’s what it all boils down to. Super thankful I stumbled upon this and gave it a chance. Thank you Victor. You explained it beautifully.